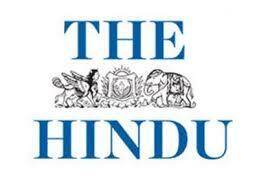 You are at:Home»Internships»Internship Experience»Internship at The Hindu. College: Amity Law School, Lucknow. Internship duration and timings: 4 week internship; 1.30 p.m. to 8.30 p.m. Process of application: Applied through e-mail. They are pretty prompt in their response and the city editor of the newspaper gets into touch within a couple of days. Area of work: Interns are assigned an assignment daily which they are supposed to attend at the requisite time, get back to office and then, report to the person-in-charge of that particular, assignment. While he/she edits your work, you are supposed to guide him with the needful information and take note of the changes made in your draft. Work environment: The work environment at times, gets excruciating but then, again there are days when there is little to do at office. Interns at The Hindu may not be assigned much of significance apart from the daily assignments; but the prerogative lies with the intern to look for work and assist the other staff members. Recommendation: This internship is mainly recommended for first year law students; much of legal work should not be anticipated. However, you may put forward your propositions for few special legal stories mainly based on the layman’s interest. Loads of travelling to do within the city for the daily assignments and special stories so, not for the faint-hearted. If you have a tendency to develop travel fatigue, this internship is not recommended. Internship at The Hindu organization will be rated 8 out of 10 by me. Area of work:Interns are assigned an assignment daily which they are supposed to attend at the requisite time, get back to office and then, report to the person-in-charge of that particular, assignment. While he/she edits your work, you are supposed to guide him with the needful information and take note of the changes made in your draft. Work environment:The work environment at times, gets excruciating but then, again there are days when there is little to do at office. Interns at The Hindu may not be assigned much of significance apart from the daily assignments; but the prerogative lies with the intern to look for work and assist the other staff members. Previous ArticleWorld Law Dialogue: Call for Papers.